Barça Lassa are into a final on Sunday. The 27-23 victory against BM Granollers in the Copa del Rey semi-finals in León will give Xavi Pascual’s side the opportunity to end the season with another trophy. It would be the fourth of the campaign and the 21st Copa in Barça Lassa’s history. The first half was decisive in the semi-final with an inspired Valero leading the charge with five of the blaugranas’ first six goals. Gonzalo’s saves and a strong defence also helped contribute to a seven-goal lead after the first 20 minutes (12-5). Granollers responded with three goals and Barça failed to score making it 12-8 before half-time but they still retained a comfortable lead. Barça Lassa didn’t let up in the second half and they were able to maintain their lead. Lazarov and Antonio García were dominating upfront and they managed to extend the lead to 27-16 after 45 minutes. Jesper Noddesbo also contributed with the Dane adding some impetus having not played in the quarter-finals on Friday. His freshness helped his side score repeatedly on the counter and they ended up beating Granollers by 14 goals (37-23). 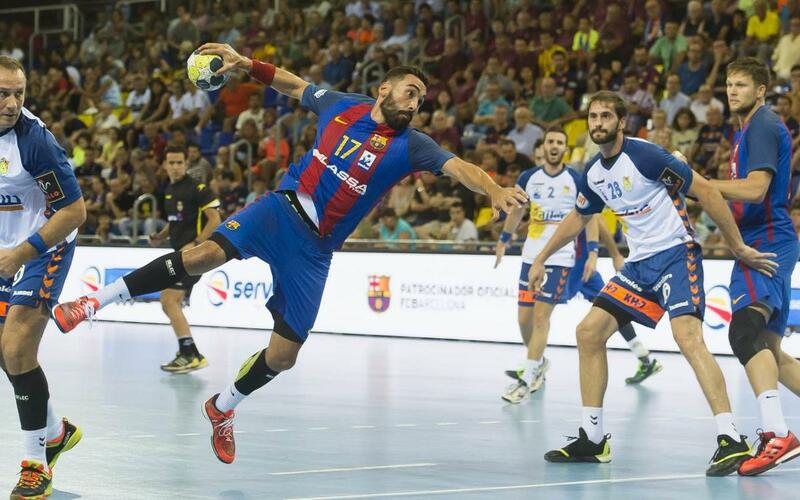 The final obstacle in the way of another trophy will be Naturhouse La Rioja, who won the second semi-final and will now face the blaugranas at 5.00pm CET on Sunday.